British Canoeing are committed to delivering world leading qualifications and awards, ensuring high standards of experience and knowledge in all the disciplines represented. SUP White Water and Surf are new areas for the organisation and as such, have a limited representation of Providers in these areas. To ensure consistency and standards of delivery, we are running both SUP WW and Surf orientations for aspirant Providers to deliver the NEW SUP Personal Performance Awards from 2nd January 2019. The Orientation events will be staffed by British Canoeing SUP Trainers and will run workshops on delivery and good practice, as well as assess the standard of aspirant Providers within the white water or surf environment. If you meet the minimum requirements (see document), please register your interest to attend an Orientation with andy.murray@canoescotland.org by 30th October 2018. The cost of the Orientation is £125. The orientation dates scheduled are in North East and South West England. It may be possible to add additional dates in Scotland subject to demand so please get in touch if you are interested. Home Nation Membership – First Aid qualification held and Safeguarding training. Formal Surf coaching/leadership qualification and significant experience in SUP Surf. Must be able to consistently and effectively demonstrate the following in waist to shoulder height waves. Safe, efficient and effective paddling technique and tactics to get out the back through broken and unbroken waves. Appropriate choice and selection of wave and ability to effectively catch the wave. Be able to finish the ride in control to the waves end. 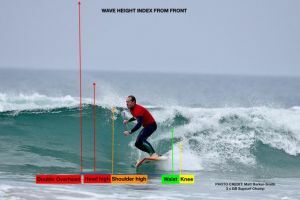 Apply a variety of techniques and tactics to regain/maintain position on the green face of the wave including; speed, control, trim as well as use of paddle as a brace, pivot and force multiplier manoeuvres such as bottom turns, top turns, cutbacks and floaters, both front and back side as appropriate. L3 White Water Coach / White Water Kayak Coach / White Water Canoe Coach /White Water Leader/ White Water Canoe Leader plus significant experience in SUP white water. The ability to confidently paddle standing down Grade 2/3. The ability to manoeuvre the board competently on Grade 2/3 white water. Evidence of a variety of different white water venues. i.e. natural rivers, man-made white water, big volume, small volume. Further venues and dates will be made available to suit demand. If you meet the above minimum requirements, please register your interest to attend an Orientation with Andy Murray, Head of Coaching and Development - andy.murray@canoescotland.org by 30th October 2018. The cost of the Orientation is £125. To find out more about the NEW Personal Performance Awards, please see the 'New for 2019' section of the website and the 'Become a Provider of the NEW Personal Performance Awards' news article.